The Bertalotto 17 HMR Cleaning Rod Bore Guide is actually made from aluminum arrow shafts. When Hornady (and CCI) developed the 17 HMR cartridge, they really hit a home-run. And the rifle manufacturers quickly marketed some nice rifles to chamber this 17-cal rimfire round. But unlike .22 LR rifles which, typically, require very little cleaning, 17 HMRs demand frequent bore cleaning to maintain good accuracy. That’s because 17 HMRs shoot copper-jacketed bullets at 2550 fps velocities. * NOTE: You really do need a dedicated .17-cal cleaning rod for this job. Most other rods are too fat to pass through the barrel. Dewey Mfg. 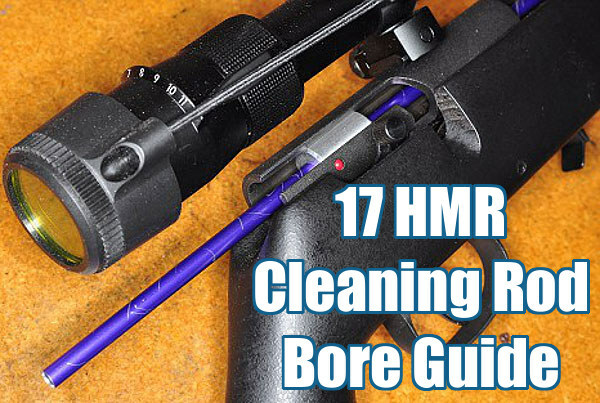 makes a decent 17-caliber cleaning rod that is reasonably stiff and doesn’t kink too readily. It is available in 7″, 11″, 18″, 26″, and 36″ lengths, either bare stainless steel or with a nylon coating. 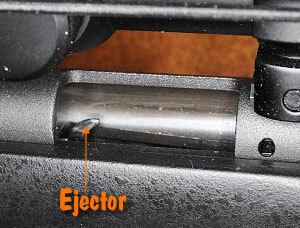 For use with the Bertalotto Bore Guide, we prefer the nylon-coated version, in either 26″ or 36″ lengths, depending on barrel length. 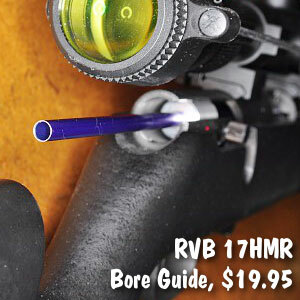 Share the post "Cleaning Rod Bore Guide for 17 HMR Rifles"
Will guide work on Savage 17HMR with scope?